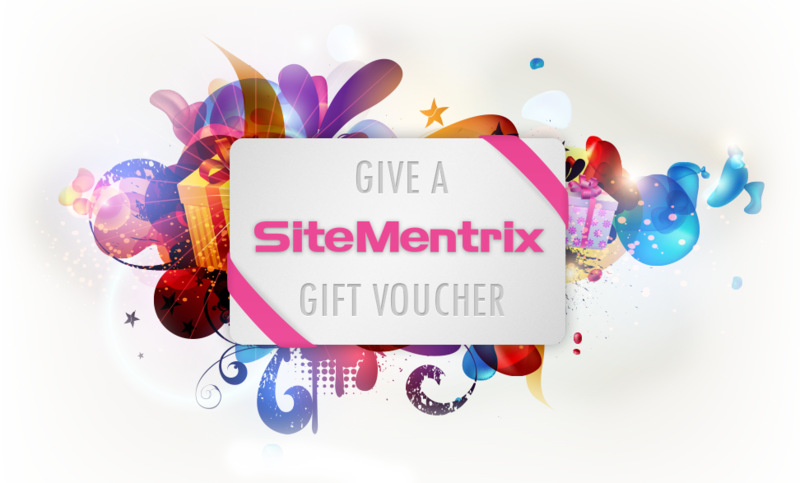 Redeem the SiteMentrix gift voucher at http://builder.sitementrix.com. Enter your coupon code in the field "Coupon" and click "Check". Enter the name of the website in the www. field and click "Next"
SiteMentrix is an online Content Management System and Website Builder. Overall rating 5/5 based on 500 ratings. For my sister's birthday I gave her a SiteMentrix gift voucher. Now she can finally have her own website that she was talking about wanting to have for months. "Made my website from a gift voucher!" When I started my own small consultancy company, a good friend gave me a gift voucher for a SiteMentrix website. I was glad he did, now I am online. A good friend, living oversea, was having his birthday. So I mailed him a gift voucher for a SiteMentrix website. Easy to give, nice to receive! A SiteMentrix gift voucher, the ideal present for a special occation!